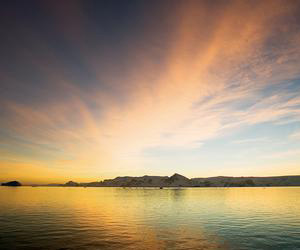 Since the Age of Discovery began in the sixteenth century, explorers have been braving the frigid weather and powerful sea ice of Canada's northern reaches in search of a Northwest Passage to the Pacific Ocean. So great was the attraction of this potential shortcut to the Far East that dozens of mariners from all nations set out in search of it, and still more set out in search of those who never came back. Adventure Life of Missoula, Montana organizes small ship cruises to places almost no one else can get to, and one of them is the Canadian Arctic. 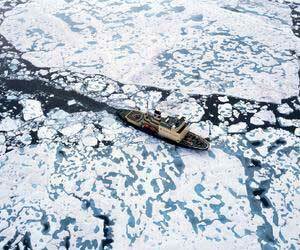 Icebreakers and shallow-draft vessels can take you through the very waterways which explorers searched for centuries. Besides the whales, the seals, the polar bears, the experience of Inuit culture and the awe-inspiring Arctic scenery, you can see memorials and artifacts from these early voyages of exploration, even the three-masted schooner Maud which Norwegian explorer Roal Amundsen sailed in his second crossing of the passage in 1924-1926. Probably the most famous expedition to the arctic regions was led by Sir John Franklin, who set out in 1845 with 128 men in two ships, lavishly equipped and provisioned for three years. They were last seen by whalers in the North Atlantic and never heard from again. The fate of Franklin and his men captured the public imagination in stories and songs like "Lady Franklin's Lament." Many search parties were organized to try to find them. In fact, more sailors perished trying to find the Franklin Expedition than were in the original party. In 1854 McClintock also spoke to an Inuit elder named Iggiararjuk "They had once been many; now they were only a few," he said. "They pointed to the south, and it was understood that they wanted to go home overland. They were not met with again, and no one knows where they went to." The Kapitan Khlebnikov breaking ice. Canadian Arctic cruise aboard the polar-class icebreaker Kapitan Khlebnikov offers you the opportunity to be one of the very few intrepid souls who have navigated the Northwest Passage. 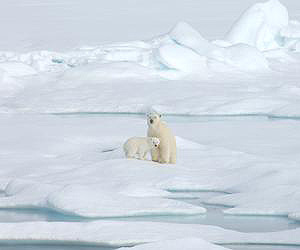 Like AL's other expedition cruises, the voyage includes presentations on the wildlife, geology, glaciers and human history of the High Arctic from naturalists, historians, and scientists. Voyagers are flown by plane from Anchorage west to Anadyr and from there they are flown by helicopter to the Kapitan Khlebnikov anchored just offshore. 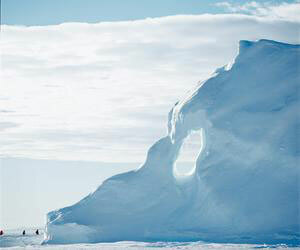 Built in Finland in 1981 The Kapitan was the first passenger vessel to circumnavigate Antarctica. It has 54 comfortable first-class cabins and suites, a lecture room and a library. The first stop is the Chukotka Peninsula, where you can explore ancient ceremonial grounds of the Inuit and see an abundance of wildlife including bowhead, gray and Minke whales, nesting auklets, puffins, guillemots and many other seabirds. The Kapitan then sails north through the Beaufort Sea, across the Arctic Circle to Point Barrow, the northernmost point of the United States. The ship then visits the old whaling station at Herschel Island. Amundsen spent the winter at nearby King's Point before completing the first transit of the Northwest Passage in 1903-06. 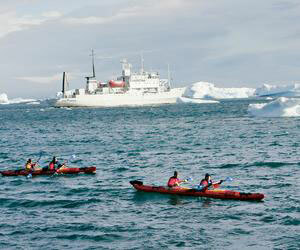 Weather permitting, she then sails into Franklin Bay where you're likely to see whales and polar bears. Pushing across the Amundsen Gulf, the Kapitan reaches Victoria Island at the village of Holman, home of the Copper Inuit, whose 300 friendly residents make their living from hunting, trapping, and print-making. A whale breaches the arctic waters. 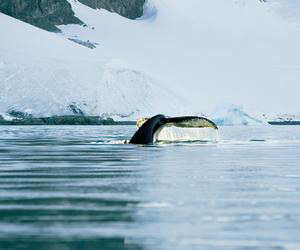 She continues eastward through the Dolphin and Union Straits where passengers can see whales, polar bears, seals and musk ox. At nearby Cambridge Bay, they can see the remains of the Maud, the three-masted schooner Amundsen sailed across the polar basin in 1922-24 on his second voyage. The ship takes the western route through the challenging ice of the Victoria Strait, where Amundsen spent two winters learning dog-sledding skills. It is here too that Captain Leopold McClintock, at last, found traces in 1859 of Franklin's expedition, including letters, ship's artifacts, and graves. Next the icebreaker heads north along the Boothia Peninsula via Larsen Sound, where polar bears are often sighted, through the Bellot Strait separating Somerset Island from Point Zenith, the northernmost point of North America and along the east or west coast of Somerset into Lancaster Sound, where voyagers can see beluga and bowhead whales, polar bears and arctic seals. The final stop is Beechey Island, where Franklin and his men spent the last winter before they disappeared. While Roald Amundsen was able to sail from ocean to ocean in the shallow-draft Gjoa and the Maud, no Northwest Passage suitable for international shipping was ever found. Experts doubt that one will ever be practical. It would be easier, they say, to develop the Northern Seaway in the Russian Arctic, or even to cut a passage directly over the North Pole. Still, the Northwest Passage will always represent an important chapter in the history of exploration, and those who brave the weather and the Arctic ice will be rewarded with views of a wonderland few people ever see.